This is the first in a video series I’m putting together that shows you how to draw a tiny house on a trailer with Google SketchUp, the free 3D illustration software from Google. I’ll be posting these how-to videos here on TinyHouseDesign.com each time I add a new one to YouTube, but you can also follow along by joining the new Tiny House Design YouTube Channel. This entry was posted in How To and tagged design, drafting, How To, tutorial, Video, youtube. Would it be possible to proviee the trailer as a SketchUp-File for downloading? You bet Christian. Starting with the trailer would make drawing a tiny house a little more fun. Hi, I don’t get anywhere with the link provided for the trailer. I’m on Mac if it makes a difference. Hi Michael, thx for the fast response and the file. I’m new to SketchUp and as I’m used to work with ArchiCad, it’s a bit tricky for me to work with SketchUp. Michael, great to see these videos. I’m pleased that you are finally using components! I am the author of the free Cutlist plugin for Sketchup( more info at http://lumberjocks.com/daltxguy/blog/5143 ) which your readers might find useful to produce a cutlist once the house is complete. As the author, I am intimate with the internal workings of sketchup for groups and components and let me say that there is NO advantage whatsoever of using groups over components. In fact groups are the prehistoric cousins to components. They only exist because Sketchup is stuck with them now. My recommendation is to keep it simple and make everything components – they are a lot more useful and reusable. My plugin does handle both groups and components, however. Wow – I’ve played around with SketchUp a lot and never really “got” groups and components until I saw this. I never used rotate and hated using push/pull, so I guess that gives you an idea of what my skill level was. However, that’s all changed now. Awesome video! Would you be willing to share your base trailer model, or tell us where we might find a similar one? I’ve been having a lot of trouble finding an acceptable trailer to start building my model upon. This is some fantastic stuff and a wonderful benefit to everyone. Thanks for the great work! Ok… Now I’m embarrassed. I didn’t see the comment posts regarding the trailer sketch when I posted my comment… Thank you very much for linking to that! Thanks for a very helpful and useful video. I’ve played around with Sketchup and didn’t realise several things that you explain here. E.g. moving objects by the corners for accurate placement. Also I had no idea about the differences between components and groups and you explain this very clearly. Thanks! Michael, thanks for the videos. I’ve started drawing my tiny house based on them. Hey, I know it’s been like two years since you posted this, but I’m looking to build on an 18′ trailer. I’m a complete novice to Sketchup otherwise I would try to alter the original trailer myself, so I was wondering if you had a model for an 18′ trailer that I could use? Michael, enjoyed your video very much. Would you mind giving out your secrets on making a video like this? Thanks so much. I started designing in SketchUp last week, so I’m very glad to find this. The best of both worlds would be a Tiny House that slips into a stealth box van for extended good paying freelance city gigs. Or maybe these are two separate projects. Seems to be the future, working on the leading edge while retaining freedom. Anybody else developing this? 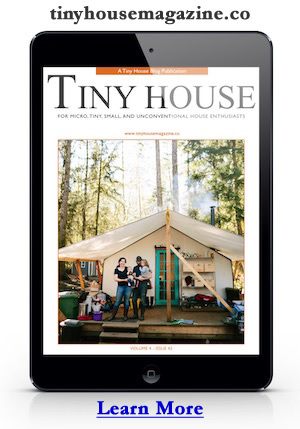 I am getting started with my journey into the tiny world of tiny homes. I was just thinking I wonder if… Bam! There it is. Thanks for taking the time to setup this model within sketchup. Over the next few months I be designing my own unique tiny home. Funny I rediscovered some drawing I did back in college of a small mediation space. I think after seeing this I will rekindled the design in sketchup. I am really excited about this. hello Michael and tiny house enthusiasts! thanks for the google sketch videos…..i was wondering if anyone has a template for a single axle 15′ trailer **im using an old komfort travel trailer for my start point**….im very new to google sketch…. Thank you for the education. It is much appreciated. First of all, let me say thank you for making these tutorials. They’re awesome, and they have inspired me to design my own tiny home instead of buying plans. The thing is, I’m looking to build on an 18′ trailer. I’m a complete novice to Sketchup otherwise I would try to alter the original trailer myself, so I was wondering if you had a model for an 18′ trailer that I could use? It’s a new trailer drawing I recently made that has less detail but more accurate dimensions. It’s also more easily edited for the exact dimensions of a trailer you might find. For example the deck height and distance of the wheels to the ends. The fenders are common 9×72 fenders. I hope this helps. Thank you for this handy and awesome tutorial! Thanks! I’m hoping to post updates soon. I don’t have a 30 foot trailer drawing yet, but I’d suggest simply drawing a flat platform and add two or three axles with wheels to give you a sense for how it might layout. The trick will be finding one already built or having one custom built. The exact location of the fenders will also factor into the wall framing, but I wouldn’t worry to much about that at this point since you can adjust the wall/fender opening when you are closer to building.